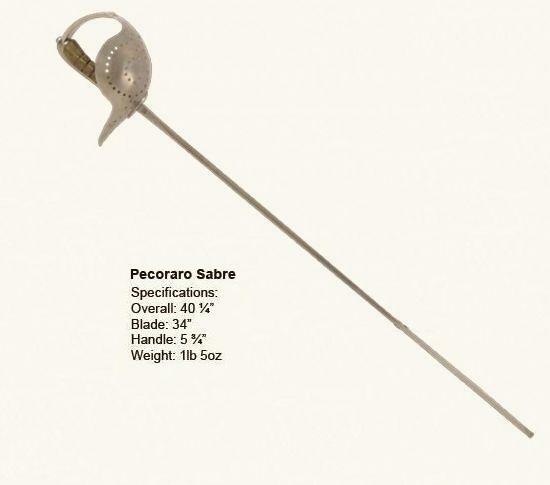 As the use of body armor declined the rapier sword became the first civilian weapon to be developed. 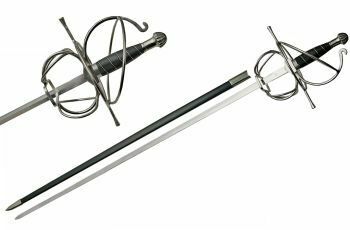 The rapier sword first debut in the late 1400's as a cut and thrust weapon. The popularity of those rapier sword styles continued into the 1600's. 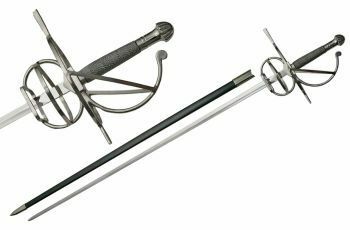 During the 1600's the rapier sword transitioned as the hilts became smaller and the blades were designed more for thrusting and less for cutting. The cup hilt rapier sword made its first appearance in Spain during the early part of the 1650's. 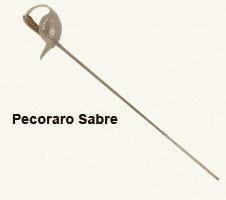 The cup hilt rapier sword was very popular in Spain as well as Southern Italy until the early 1700's. 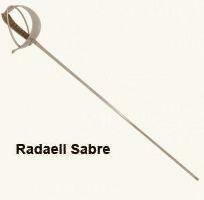 Those using the rapier sword often employed a second defensive weapon. 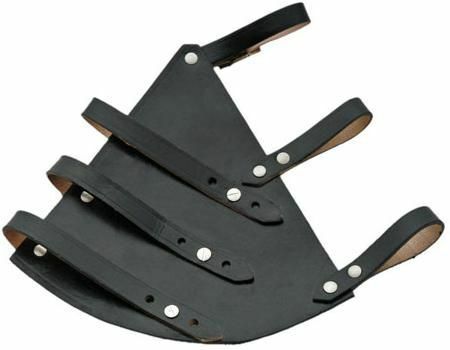 The most popular among these defensive weapons were daggers, bucklers and cloaks. 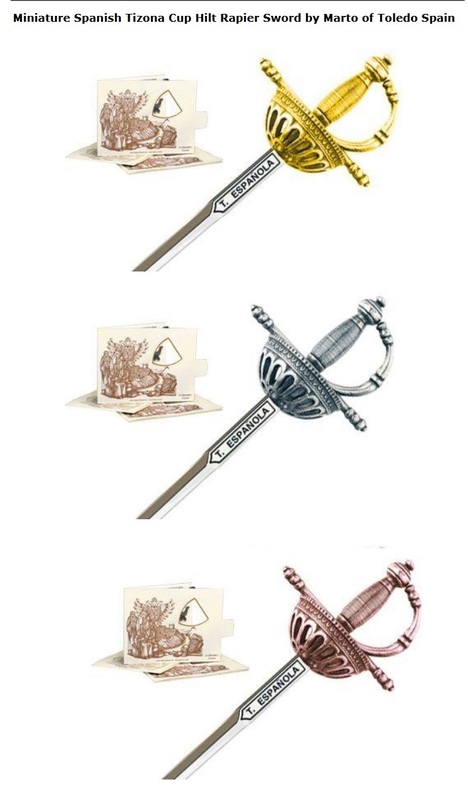 The dagger was often decorated to complement the companion rapier sword, but it was not unusual to have a rapier sword and dagger of dissimilar design. 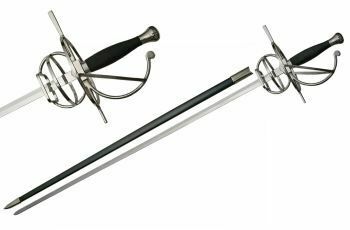 Being that the rapier sword was much lighter in weight than the broadsword used in medieval times a whole new style of swordplay developed. 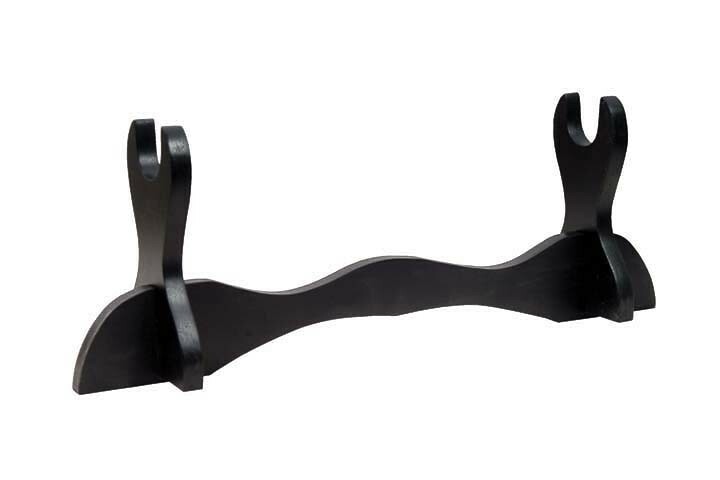 This resulted in a proliferation of fencing schools. 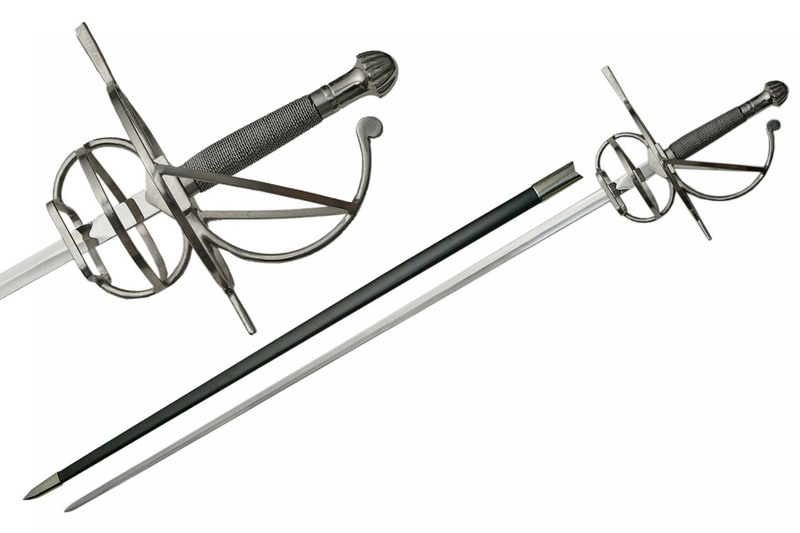 The rapier sword marked the early beginnings of fencing as a sport. 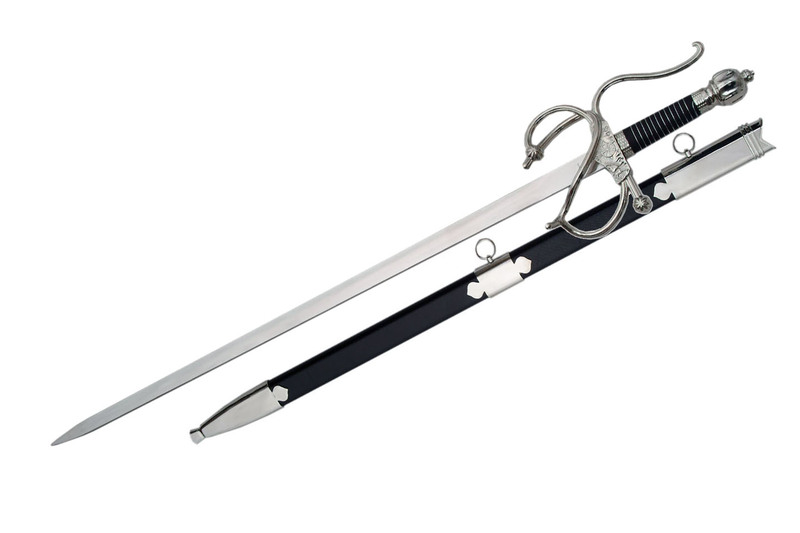 Sword Length: 43 1/2 "
is a replica reproduction of a well known rapier sword from the 16th century that was used by the Captain of the Flanders Corps in thier conquest of the Americas. 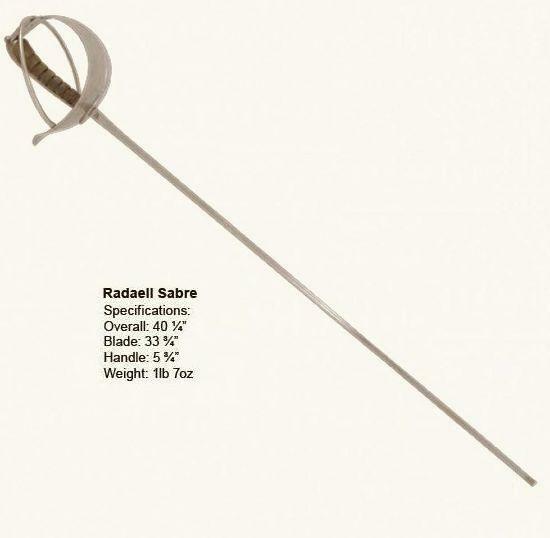 The Spanish style rapier sword is recognized by its half cup shape hilt that can be finished in a multitude of ways (open work, etched, engraved, etc) as well as by the rapier sword's graceful and light blade that is carefully tempered. 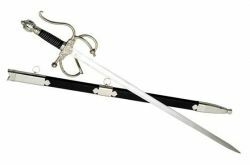 Original styles of this historically accurate reproduction of the Spanish Tizona Cup Hilt Rapier Sword can be admired in most of the important museums of the world. 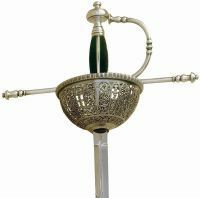 The Spanish Tizona Cup Hilt Rapier Sword by Marto of Toledo Spain is beautiful and intricately detailed. 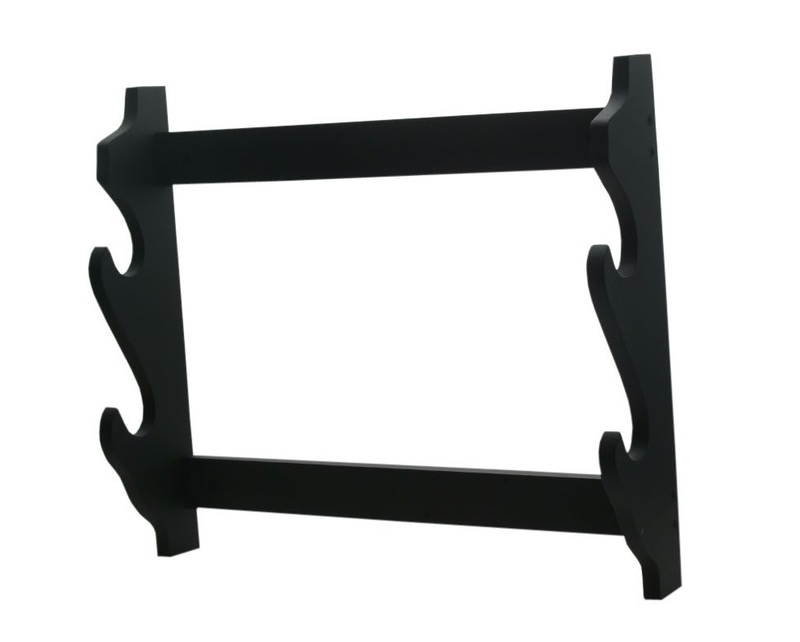 The sword features a graceful, carefully tempered steel blade. 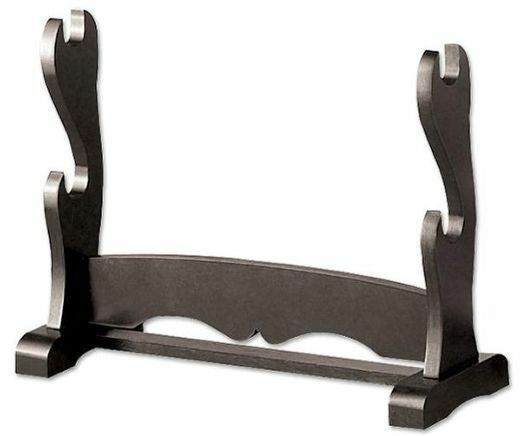 The handle features a finely worked shell guard, straight quillons, knuckleguard, lid-shaped pommel and handgrip covered in fine black leather. In the 16th century , from the pen of Miguel de Cervantes , Don Alonso Quixote ( Quijano ) , better known as Don Quixote de La Mancha, was born. Don Quixote was a Knight with a high sense of duty and honor but with a limited sense of reality. Don Quixote would attack windmills believing them to be giants, herds of sheep, were perceived as an enemy army, wineskins as ghosts, etc. 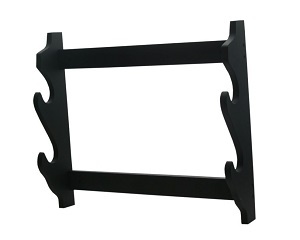 Don Quixote gained his fame from all of his adventures. Don Quixote lived incredible adventures and died in the arms of his beloved Dulcinea del Toboso. 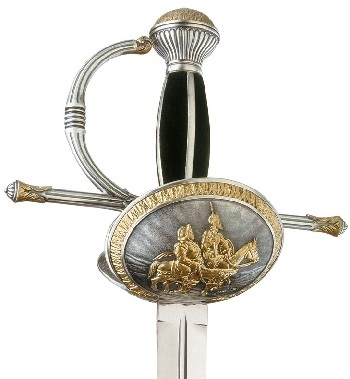 The Don Quixote Clam Shell Hilt Rapier Sword by Marto of Toledo Spain is beautiful and intricately detailed. 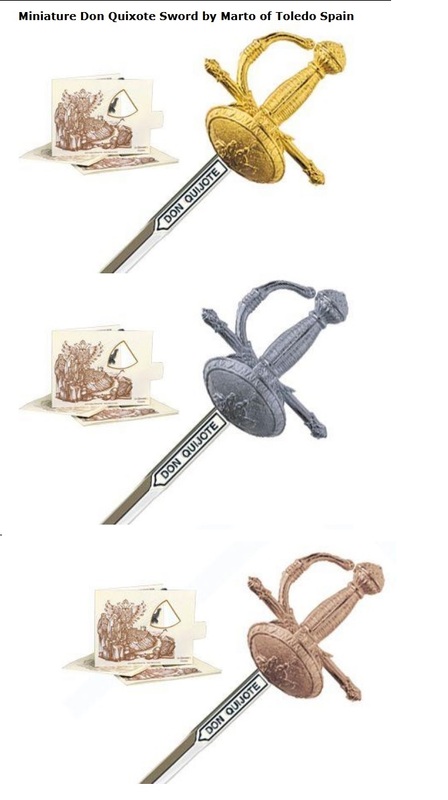 These frogs allow you to wear your rapier.